During the Muslim incursions, many Hindu temples, Jain and Buddhist monasteries and other allied structures including their university libraries were destroyed in the medieval times. Though north India was first affected in the first two centuries of the past millennium, the rage had spread subsequently to south India due to the expansion of Muslim power into the south. The present Muslim theologians and priests profess that Islam is a ‘religion of peace’ and that Islam does not sanction building of mosques on the destruction sites of other religious institutions. But, there are ample literary evidences in their own chronicles and the mosques built on the sites replacing the temples during their rule, where prayers are still being held even today stand testimony. There has always been a wide gap between the precepts and practice. Among number of such instances of destruction of temples, Ayodhya, Varanasi and Mathura sites are more conspicuous because they are holy places of great significance for Hindus. Ayodhya and Mathura are the birth places of Lord Rama and Lord Krishna who are worshipped as incarnations of Lord Vishnu. Varanasi is the abode of Lord Viswanatha (Siva) and Mother (Goddess) Annapurna. There is no doubt that the temples are destroyed deliberately by the Muslim rulers and got the mosques constructed on most of such sites. India has lost considerable territory in the formation of Muslim Pakistan on its east and west as a heavy price to gain independence from the British-yoke. What remained after is a secular India where all religions are treated equally. In the heat of transfer of power into the hands of natives, Sardar Ballabhbhai Patel took initiative to rebuild Somanath temple in Gujarat. On this analogy, the Hindu activists demanded for handing over of the site of Ramajanmabhumi where they proposed to build a Hindu temple replacing Babri mosque. But, it was argued that the new Somanath temple did not replace any mosque. The Government thought that the claim on Ayodhya, if accepted, might open a ‘Pandora’s Box’. In the wake of the communal catastrophe caused by the division of India, the Government was not prepared to take any decision immediately. Communal riots also have taken place on this count in Ayodhya in 1948-49. The Government, headed by Pandit Jawaharlal Nehru, opted to buy time by deferring the decision indefinitely as long as it was possible. Indian Government tried to play safe in continuing the colonial policy of the British. For over a century, the matter was lying unsolved in the lower courts of the then British Oudh and later scaling up and down in the present UP courts. Finally, the matter is, now, in the Apex Court. Since the matter is sub-judice, the Government has a justification to delay its decision. Ayodhya might be a very prominent city as the founding capital of the Iksvaku dynasty upto the Ramayana times and continued to be ruled by the Iksvakus as the capital of a part of the divided kingdom after King Rama left for his heavenly abode. It continued under the splinter groups of Iksvakus of north and south Kosalas upto Magadh predominance in about 4th cen BC. Later, it lost its political importance and remained an important religious and cultural centre as evidenced by the Chinese travelers and Jain and Buddhist texts. The last millennium was heralded by the Muslim invasions from the north-west region of Indian sub-continent. Ayodhya, being strategically situated in the Gangetic doab, assumed great importance during the entire Muslim rule. The Muslim contingents were stationing at Ayodhya for maintaining link between Delhi, the capital of the Muslim Sultanat and later the Mughal empire, and their eastward possessions. During the Muslim rule, the Muslims settled in the town in great number and made it their home. Obviously, many mosques or tombs of their ‘peers’ have come up in various localities of the town. A grand mosque was constructed in Ayodhya by Mir Baqui, a military commander of Babur’s army stationed at Ayodhya, to please his master. Two contemporary inscriptions are found on the site, one inside the mosque and the other outside, stating this fact. Though Ayodhya did not command great importance during the Muslim rule, there are many instances where some Hindu chiefs could take upper hand in getting control over the region and the town in the intervening periods when the central authority was weak. But the Hindu chiefs who were successful to possess their control over the town for a while were not strong enough to enjoy independence and much less to remove Muslim religious structures. The first historical reference made with regard to the Ramajanmabhumi could be found in the demand of the Marathas to hand over Ramajanmabhumi to them along with other two major Hindu temples at Varanasi and Mathura when Shuja-ud-Daula, Nawab of Oudh, sought Maratha help to fight Ahmad Shah Abdali in the Third Battle of Panipat (1761). But, unlucky for them, the combined Hindu and Muslim forces were routed in the Battle and the Marathas lost their commanding position in Indian politics once and forever. Soon, India was brought under the English Company’s rule. Another important reference is about the endowment made by Ahalyabai Holkar in the form of an annuity to conduct daily puja (worship) at Lord Rama temple on the Janmabhumi. As the ruling class failed to recover the temple and the Janmabhumi, the sanyasis and the devotees made their efforts to regain their control on the Janmabhumi and clash between the communities continued during the British rule. When there were concerted armed attacks on the question of Janmabhumi, the English government dealt the problem as a mere law and order issue and tried to tackle it through their district and taluk magistrates. The English were successful in deferring the issue till they left India. India, after becoming independent, opted for a ‘secular’ state and parliamentary democracy with ‘universal’ franchise. The Government sought judicial redress of the Ayodhya problem. The claimants of Janmabhumi were required to prove that: (a) Ayodhya was an important Tirtha (holy place of Hindu pilgrimage) from the ancient times; (b) the present Ayodhya is the same as epic Ayodhya; (c) King Rama was a historic personality; (d) King Rama was born on the site of Babri mosque; and (e) a Hindu temple, precisely that of Lord Rama, was destroyed to build Babri mosque during Babar’s reign. Though “the vital question of certain established long reputed facts do not require proof in the ordinary sense by way of adducing evidence afresh is not called for”[iv] the government referred the issue to judicial courts and they in turn referred it to the archaeological bodies for investigations.. Before independence such doubts never struck to any one, not even to the Muslim priests or activists and the then Muslim or British governments. At that time, the conflict was merely on the question of control and possession between the Hindu and Muslim communities. Strangely, in the post independent political scenario, history is expected to provide answers to these questions to solve the nagging problem. The story of King Rama is dealt in detail in Valmiki’s great epic, Ramayana and considerable sketches at length of the story and major incidents are found in puranas, other major epic, Mahabharata, ancient kavyas, Pali texts etc, besides quite a good amount of orature in India and abroad. Though the epics, puranas and orature could not be dated specifically, the ancient literature can be traced to a few centuries before Christ. Abundant references to Ayodhya/river Sarayu as a holy pilgrimage for Hindus and Rama as a virtuous personality/king/ divine incarnation can be found from the literature- Sanskrit and vernacular- pertaining to the first two millennia in the Chiristian era. During the past two centuries, research by the western and Indian scholars and Indian traditional scholars yielded valuable information about our remote past. Archaeological explorations and excavations were carried to unearth our past by the western enthusiasts in the beginning followed by scientific work done by the trained archaeologists. Since most of our knowledge was preserved in the formal oral recitations, dating the antiquity of their compositions becomes a near impossibility. With archaeological evidences, our civilization which remained unbroken can of course be dated back to Harappan times, three millennia before Christ. But the antiquity of our elite Culture and literature cannot be traced with the available archaeological finds. Therefore, one has to wait till archaeologists could unearth the epic Ayodhya, if at all there was such, to identify the same with the present Ayodhya or otherwise. River Sarayu was said to be a major river originating from the Manasasarovar at the foot of Mount Kailash, the abode of Lord Siva, during the Ramayana times. The river in course of time might have changed its course and attained the present status of a tributary to Holy River Ganga. It was being treated as the River of Salvation even much earlier to Holy River Ganga which was brought down to us by Bhagirath, a king from the Iksvaku line of Ayodhya. King Rama left his mortal body in the river and assumed his original divine form of Lord Vishnu. The river continued to command reverence as a Tirtha. King Balarama, king of Dwaraka in Mahabharata times, who is also considered one of the ten incarnations of Lord Vishnu, and Guru Nanak (1469-1539), founder of Sikhism, had a holy dip in the river as an important Tirtha. Besides River Sarayu, the town of Ayodhya, as the capital of Iksvaku dynasty, gave great rulers like Bhagirath, Raghu, Dilip, Dasarath and Rama, an incarnation of Lord Vishnu himself. Ayodhya and River Sarayu are considered holy Tirthas from times unknown. Present Ayodhya city has many a site recognized as holy sites/monuments of worship by Hindus and attracts many sanyasis and sants to live in/visit Ayodhya. The devotees, who visit Ayodhya, adore the holy dust of Janmasthan on their foreheads and bow their heads at numerous holy sites in the town. However, history and archaeology may have their own limitations in assessing the religious significance of Ayodhya as a kshetra and Sarayu river as a Tirtha which are subjective in their nature. We have clear evidence of writing in India from about Indus times. But, historically our literary tradition dates back to about 5-6 centuries BC when Puranic, Buddhist and Jain texts were codified. But Indian oral tradition is much older. Rama’s life, personality, rule and divinity inspired many saints, scholars, poets, singers and writers besides devotees in creating a voluminous literature in all literary forms in many languages of India since times immemorial and in many languages of the world from the early historical times. Ramayana has also greatly influenced many art forms –architecture, sculpture, painting, music, dramatics, etc. The present genre of history has developed as a scientific discipline since past two centuries. Many scholarly studies are made in the recent times on the history and geography of Ramayana times mostly based on the ancient literature. But still, the direct references to clarify the current doubts on its historicity and authenticity are scanty. Even those available few references are not contemporary and can be interpreted differently. Archaeology has also developed in the recent centuries as an allied discipline of history providing material sources to construct history. In India, archaeological explorations were attempted in 19th century with chance findings on the surface by the colonial administrators. Later, the English government took interest in exploring India in a limited way through a government department. The Government has taken up archaeological explorations and excavations which could throw some light on pre-historic, proto-historic and ancient material cultures of Indian sub-continent. Later some projects on these lines were taken up by the government and university departments to study the authenticity and historicity of our epics with the help of new archaeology. 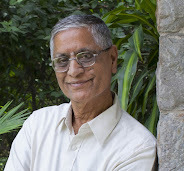 Projects on Ramayana archaeology and on Mahabharata were also undertaken by specialist archaeologists like (Late) H D Sankalia (Deccan College, Poona) and B B Lal (former Director General of Archaeological Survey of India, New Delhi). B B Lal suggests that the early habitation on Ayodhya could be traced back to about 7-8 centuries BC. Many ruins and sites were explored in Ayodhya pertaining to different religious sects- Hindu, Jain and Buddhist- belonging to early centuries of Christian era as evidenced by the Chinese pilgrims and mentioned in indigenous literary accounts. Thus, archaeology does provide enough material to prove that the town was habited since at least a few centuries before Christ and it also served as a centre for major Indian religions, besides being a capital town for the Iksvaku dynasty. The latest archaeological excavations conducted on the Court directions at the Janmabhumi site did reveal the ruins of a basement of a very big columned erstwhile monument on which the Babri mosque was built. Stone pillars and door-jams with Hindu motifs used in the construction of the mosque by Mir Baqi were found in the excavations. The images of Hindu deities were also found below the ground at the disputed site. These archaeological arte’ facts are also being interpreted differently by the archaeologists and historians. The issue attained greater complexities in the post-independence period due to mounting pressures from the activists from both communities and the hesitance of the governments both at centre and state to take a firm decision. While the issue is being played into judicial courts and intellectual and political forums and various associations – professional and religious –, once a local issue it has now transformed into a communal issue and then it had grown into a national problem detriment to communal harmony. All thinking men –religious activists, intellectuals, politicians, professional historians and archaeologists- are divided into at least three groups; a) those who stand for the Hindu cause, b) those who stand for the Mosque and c) the majority of others who support an amicable settlement of the controversy. In influencing the public opinion in favour of Muslim community, the ‘secular’ historians and ‘progressive’ intelligentsia make concerted endeavor in support of the Muslim cause. They further condemn all those who sympathize the Hindu cause as Hindu fundamentalists and ‘saffron brigade’. The media has also been critical of the Hindu group, to a large extent, for raising what they call a ‘non-issue’ for political ends. Revisiting the past with preconceived notions and vested interests leads to misinterpretation of historical facts. Since independence, volumes are written by the teams of scholars owing allegiance to either side of the issue. In this milieu, the worst sufferer could be history as a scientific discipline and historiography as a technical craft. The need for Historical wisdom is, generally, felt in shaping the public policies in a democratic welfare state. But, the desirability of application of history in the resolution of nagging public disputes leading to street fights has to be examined with much care and caution. While history is a science, politics, i.e applied history, is an art. Ayodhya is, technically speaking, not a historical problem, because Ayodhya stood even before the modern genre of history was born. It is definitely not a property issue to be adjudicated in civil courts because contending groups are not prepared to share the holy land on material considerations. It is also not a religious problem, as orthodox or traditional sections of both groups also feel that the religious shrines can not be raised on disputed sites. Muslims do not consider that it is not a pious act to raise the mosques on the temple ruins and so also the Hindus. It is basically a complex cultural issue between the two communities whose respective sentiments are hovering high. If conciliatory attempts fail, each group tries to assert their demand politically. History tells us several instances of such disputes from the past. There were monarchies prepared to fight it out at any cost to resolve a problem applying caturopaya , namely, saama, daana, bhe’da, danda one after the other. War was the last resort. Satguru Sivananda Murtyji[v] opines that resorting to war when all other peaceful ways failed was also considered a civilised approach to end a problem for ever. In those days, might was right. But modern democracy and electoral politics do not allow the settlement of such cultural problems instantly. On the other hand the modern governments take credit for seemingly unending prolongation of the issue. Thus such problems continue to stay for long if not forever. [i]. This article is based on the unpublished doctoral dissertation, entitled, “Problems of Perspectives of Contemporary Indian Historiography – A case study of Ayodhya issue” submitted to Kakatiya University, Warangal (2012) by Dr M Sambiah. [v] Mahamahopadhyaya, Dr Sivananda Murtyji, (Guruji), ‘Anandavan’, Bheemunipatnam, A.P to whom authors express their gratitude and reverence. Guruji opines that history belongs to people and it should not be confined to universities. This article is an attempt to acquaint general intelligentsia the findings of modern researches in the fields of social sciences in general and history in particular. Creating a Nationlity: The Ramajanmabhumi Movement and Fear of the Self, Delhi, 1998. Babar Nama (Memories of Babar) London, 1992. Essays on Contemporary India, New Delhi, 1993. Politics of Confrontation, the Babri Masjid Ramajanmabhoomi Controversy Run-Riot, Delhi, 1992. Anatomy of A Confrontatio – The Babri Masjid Ramajanmabhoomi Issue, New Delhi, 1991. Narratives of Mutinies of Oudh, London, 1859. Perspectives on Medieval History, New Delhi, 1993. The Ayodhya Temple Mosque Dispute-Focus on Muslim Sources, Delhi, 1993. The Garden of India or Chapters on Oudh History and Affairs, London, 1880. Ayodhya and Future of India, Madras, 1992. Ramayana, Bhratiya Vidya Bhavan, Bombay, 1993. Ayodhya and After issues before Hindu Society, New Delhi, 1991. Ramajanmabhoomi Vs Babri Masjid – A Case study in Hindu Muslim Conflict New Delhi, 1990. Memories of Zehiruddin Mohammed Babar Emperor of Hindustan, London, 1819. The Maratha Supremacy, the History and culture of the Indian people, Publisher Bharatiya Vidya Bhavan, Bombay, 1977. Ayodhya Archaeology after demolition New Delhi, 1993. The Babri Masjid of Ayodhya, Jaipur, 1990. The Demolition-India at the Cross roads, Delhi, 1994. Comunalism and the Uniting of Indian History, New Delhi, 1967. Communal History and Rama’s Ayodhya, Delhi, 1990. Ramajanmabhoomi: Ayodhya, New Archaeological Discovries, Delhi. Ramayana Myth of Relaity? New Delhi, 1993.